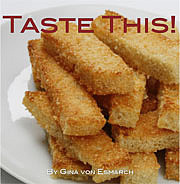 Published on April 21, 2010 in Recipes. 4 Comments Tags: @CityMama, Earth Day, Fava Bean Crostini, fresh produce benefits, Stefania Butler, www.citymama.com. As a food blogger I have pondered how to celebrate Earth Day in way that makes sense to me and brings together the two things I am most passionate about – food and family. This time of year it is easy to notice that certain foods look good but may be lacking their in-season succulent flavor. The foods on the “no go list’ from a flavor perspective are tomatoes, cantaloupes, and asparagus. Foods to gravitate towards include English peas, artichokes, morels, and fava beans. How does this help the earth? Well, aside from the obvious benefit to the person eating these items – ergo in season produce tastes better and is more nutritious – your food will not have traveled thousands of miles to reach your table, which saves on fuel and gives the environment a break…and your wallet too since these good eats are often less expensive. Take away (no, I did not say Take Out! 😉 ). 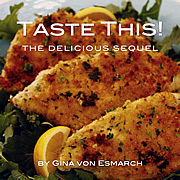 Eating “in season” is a noble way to celebrate the earth – and April 22, 2010 marks the 40th anniversary of Earth Day. While I could tout that the best place to find the freshest produce is at your local farmer’s market, I must tell you that I am not 100% on that band wagon. I think there are some farmer’s markets that are hiring people to take their unrefrigerated produce out on the local circuit as it has become much more en vogue to purchase one’s produce in this fashion- the problem, is that when it is not freshly grown and picked by the “local” farmer, it is again traveling around long distances, remaining unrefrigerated and really worse for you than if you had purchased it in a super market. I know. I know, this is difficult to hear (or read). We all want to know our local grocers and while you can’t throw one bad apple out with the lot, you do have to be a bit of an investigative consumer. I jest you not, this has turned into a big business! 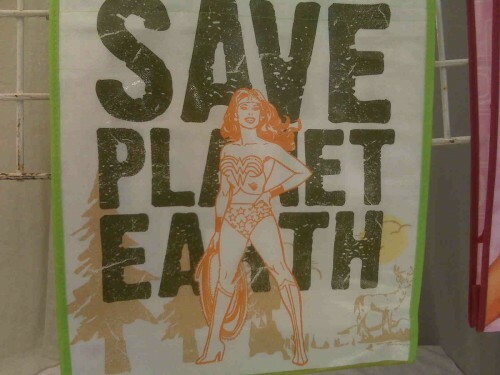 Enough of my rant on what how to be a savvy earth-friendly food shopper. Let’s get to the grits of this post or at least the fava bean. I came across this recipe from @CityMama and instantly LOVED it. It quickly became a hit around my house and the bright green hue of these beans seem like just the right color to kick-off my Earth Day Tribute! Be sure to read the entire recipe as there are two sets of ingredients and two sets of directions – all very easy and quick to put together! Notes: Approximately 3-4 pounds of fava beans in their pods to yield about a cup of pureed favas. They go so well with garlic and your best, fruitiest olive oil, and if you have a food processor you can make these pre-dinner treats in just a few minutes. You can use any assertive, flavorful hard cheese like parmesan, caciota di boschi, aged goat gouda etc. Favas do require a little work but the reward is so worth it. You have to shell the beans and then remove the skin that covers each individual bean. Look for pods with small-to-medium-sized beans. They are sweeter, and when the beans are small you don’t necessarily need to remove the skin that covers the bean. The larger the beans are, the tougher the skin on the bean. Place the shelled but unskinned beans into boiling salted water for 1-2 minutes, then drain them and shock them in an ice bath. The skins will soften and shrivel and you can pop them right off. Place favas in bowl of food processor with garlic. Turn on motor and through food tube, slowly drizzle olive into bowl in a thin stream until favas as creamy and almost smooth, about the consistency of hummus. Taste for salt and remove the puree to a bowl. On a baking sheet, arrange the bread slices in a single layer Bake until bread is golden brown and crisp, approximately 9-12 minutes. 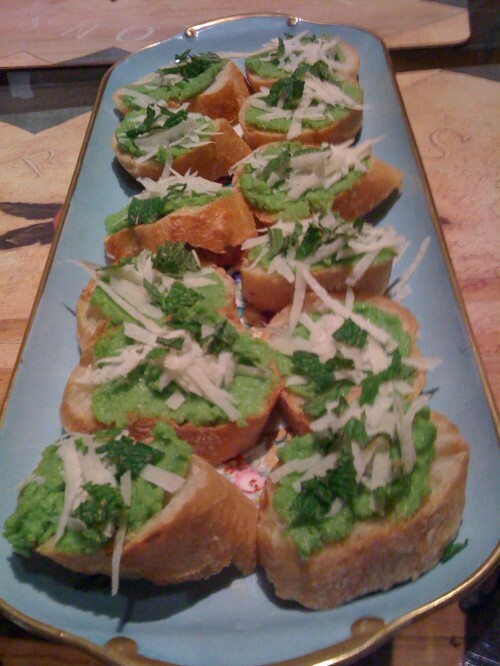 Put a generous teaspoon of fava bean puree atop a slice of toasted bread and shave pecorino romano over it. Grind pepper over and serve. Refrigerate any leftover puree. Wow, I didn’t realize the flip side of farmer’s markets. I’m definitely going to look into that–thanks for the tip and the great recipe. Happy Earth Day! How interesting! As fellow food bloggers, we took a similar tack on this topic, but still very different! I had no idea about the farmers market scam. I guess the way around that is to get to know your farmers and chat them up while you shop. This fava bean recipe sounds DELISH! Love fava beans although they always make me think of Silence of the Lambs. Am I going to get to see you this summer at any of the conferences? I hope so because I miss you and your mocha brownies! Wow – never knew about the farmer’s market scam. YUM. Also, this practice is not allowed in North Carolina, though I saw it in Minnesota (farmers market selling bananas for example). Our state sanctioned farmers market goods must be in season and local. The paper even lists what we’ll find at the market every week. Books are shipped Priority Mail via the USPS. Orders are shipped out weekly. 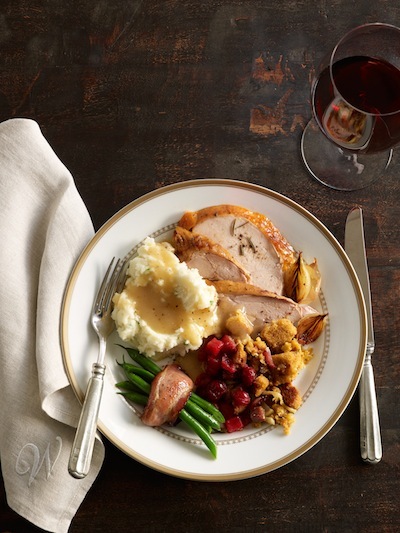 Images and/or other value provided by our partner, Williams-Sonoma.